If you are a regular visitor to this site, you may know that we have a Facebook page, as well as a Twitter page. I regularly update both, especially the Twitter, which we have 200+ followers for already, which I have a real ball running, posting up pictures and links to interesting things that all of you will enjoy! 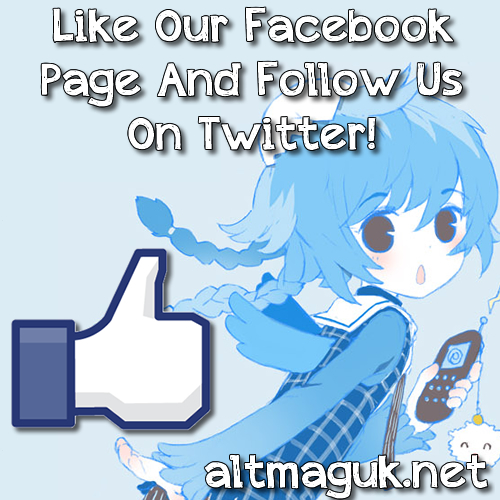 So if you have a Facebook, a Twitter, or both, then please like our Facebook page and follow our Twitter page. Even if you don't really have any interest in what we post, a like and a follow will raise attention to the pages and someone else who is interested will see it, and I would really appreciate it! Just click the links below and you can like our Facebook page and follow our Twitter. Drop us a line too, we will always reply! Thank you everyone!